There is a constant stream of innovation in the field of science and technology. Thanks to these advancements, individuals, businesses, and corporations are given the chance to make their products and services better and more efficient. Recently, after a boom in mobile applications, another sector in the sphere of technological transactions is gearing to take the world by storm. This technology aims to streamline technological interactions and make them more effective and accurate. 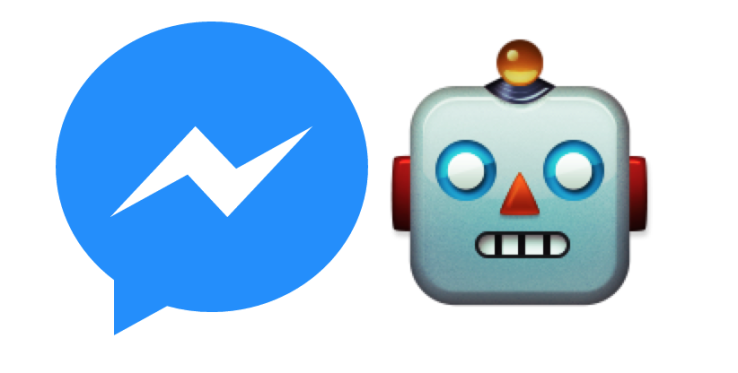 Technocrats and messaging aficionados refer to this technology as Chatbots. Chatbots are technological entities programmed to interact with users through messaging. These are mechanized through the use of artificial intelligence, and could render services in the fields of business, marketing, and entertainment, among others. This interactive artificial messaging was initially used exclusively to imitate conversations among humans, and were made to test the limits of artificial intelligence and the ability of computers to actively learn from human interactions. However, the 21st century saw the evolution of the utility of chatbots. Customer service, in particular, have employed the use of chatbots to communicate with their customers. Since the way chatbots are programmed made it possible for them to know about every single aspect of the company and how it works, it can easily answer every question or query that may be posed by the customer. This makes the interaction between the company and the customer more accurate, which adds to the excellence and quality of customer relations in the company. Apart from customer relations, chatbots have a spectrum of different functions. These functions will be explored and explained later in the article. The reason why there is an influx of the number of companies that employ the use chatbots is because more and more people are using messaging applications instead of social media networks. In an article on Business Insider, it argues that since people are spending more time in messaging apps, it is just logical for businesses to invest in avenues that would make customers interact with their companies. The mantra of businesses must become “plant where you can sow”. With the integration of chatbots in their customer relations repertoire, businesses would be able to forge relationships with their target consumers at a newer stage. Matt Schlicht, the founder and editor of Chatbots Magazine, wrote an article about everything you need to know about chatbots and how they work. According to him, there are two kinds of chatbots. The first one is a chatbot that follows certain rules and functions based on these set of instructions. These chatbots can only follow a certain set of commands. For example, you can only effectively communicate with a particular chatbot if you start with a verb and end with a noun, like “search for Mexican restaurants”. If you type “Can you give me a list of this city’s top 10 Mexican restaurants?” the chatbot would not be able to recognize your command. This kind of chatbot is not capable of learning, and is only as smart as the programmer made it to be. The second kind of chatbot is one which is able to learn. These chatbots are programmed with artificial brains and employs an advanced version of artificial intelligence. You need not to be specific in your commands and questions. No matter what you type, it would be able to follow and understand your command. That means that even if you write “search for Mexican restaurants” or “Can you give me a list of this city’s top 10 Mexican restaurants?” it would be able to give you a list of good and reputable Mexican restaurants around your area. This kind of chatbot learns from its interactions with humans. Different kinds of chatbots perform varying functions. The use of the first kind of chatbot may be more applicable to simpler tasks, while the use of the latter bot may be more appropriate when performing much more complicated commands. Knowing which kind of chatbot is more apt for you is necessary in order to make your chatbot experience smooth and uncomplicated. What are the uses of chatbots? 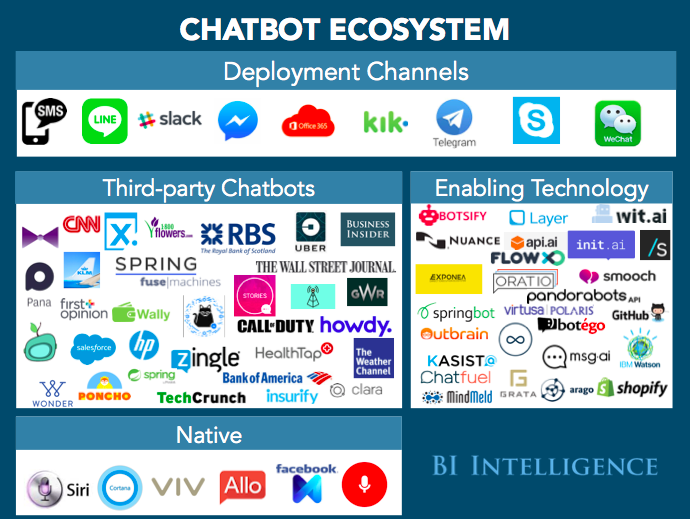 Many businesses and companies now employ the use of chatbots. Even applications like Facebook and Telegram utilize this advanced artificial intelligence in order to make their communication more efficient and interactive. Chatbots can be used in many different ways. Many companies use chatbots in their websites in order to communicate and interact with their customers online. 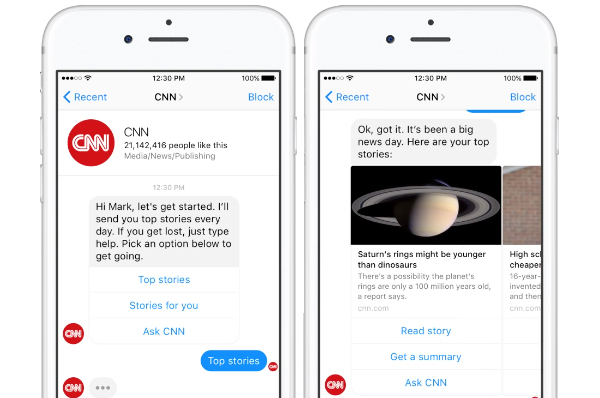 For instance, the CNN pressroom released a statement that it would launch a chatbot that would let users and readers chat with bots to inquire about current news and headlines. As long as it is able to, the CNN chatbot would even be able to answer particular details about the news and broadcast reports that the company has. This makes the goal of journalism, which is to be able to inform and report about the truths and realities of the world, more concrete and informative. 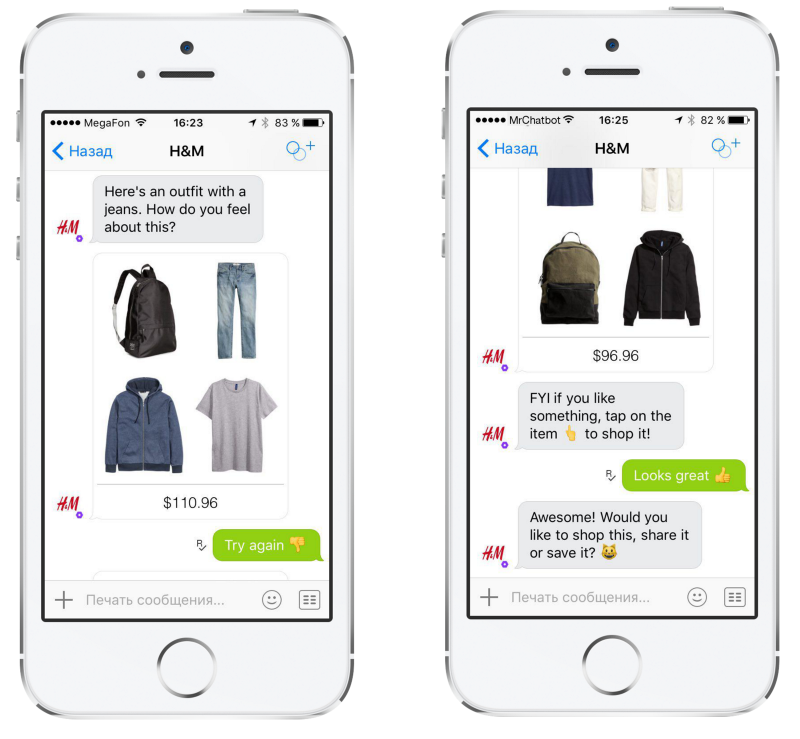 Online shops also employ the use of chatbots. As their potential customers are scrolling and browsing through their product catalogue, customers would be able to inquire on the details regarding the product and the services that are offered by the company. Through these personal interactions, there will be a higher likelihood for customers to purchase the products offered by the company. specific functions for you, and they would be able to deliver without a hitch. An example of this chatbot is Nikibot, a chatbot made in India which was launched in Facebook Messenger. Nikibot can book taxis and cabs for customers, whether at that exact moment, or in advance. This makes the tricky issue of public transportation easier and more manageable. 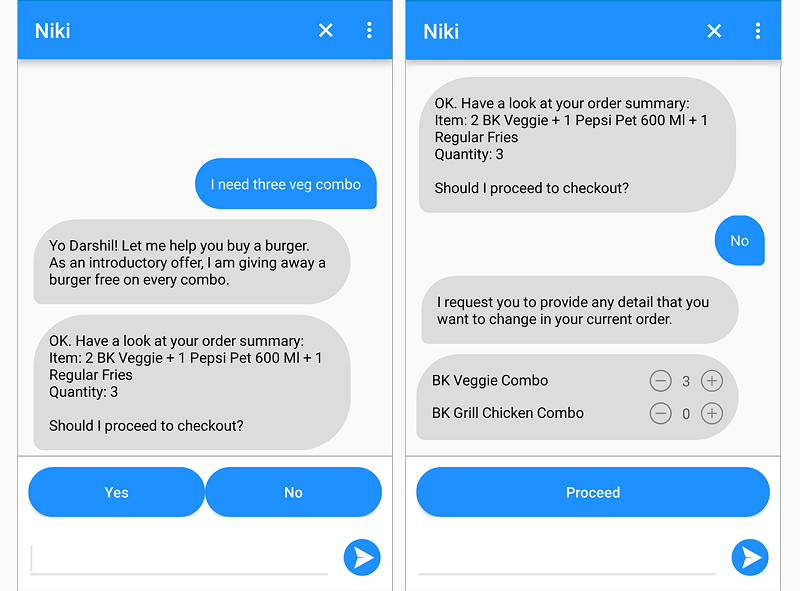 Nikibot can also order food for its users. The customers only need to input their orders and other details such as address and contact number, and the bot would be able to order the food in any restaurant that serves around the area of user. The use of Nikibot is preferable to the traditional method of ordering through phone or online as it is faster, more accurate, and more easily understood by computers. This chatbot also excels as a partner in the realm of payment for services. You only need to click on whatever utility you want to pay for, and Nikibot would be able to pay those pesky bills in your stead. Nikibot can pay for you electricity bill, laundry bill, internet bill, and other kinds of bills. This bot uses PayTM and PayU as its payment method, so you won’t need to worry about overpaying, having insufficient funds, or dealing with long lines and queues. This makes the often tedious process of going to service centers irrelevant, as chatbots would be able to do your job for you. Since its institution, Nikibot has been able to collaborate with many companies like Uber and Burger King. Its 75, 000 users just shows how boundless this technology has in terms of scope and reach. Chatbots can also help people, especially individuals who have a problem with fashion, with mixing and matching certain suits, dresses, and make-ups. H&M, one of the biggest brands in fashion and clothing, even has a chatbot that would be able to learn your personal style through scanning over your photos. After the initial scan, the H&M chatbot will recommend outfits that would fit your persona based on the scan. Sephora, one of the most renowned companies in the field of makeup, skin care, fragrance, also employs the use of chatbots. In an article of Rachel Arthur at Forbes about Seophora’s chatbot launch, she explained how the bot would be able to give you tips on makeup application, particular skin care products and its compatibility with skin types, and recommended fragrances for you. To suit your style, the Sephora chatbot even has a short quiz that would help the bot get to know you better. Of course, consulting with chatbot could never beat more detailed and in-depth consultations with real-world professionals who are experienced in their particular fields. However, if you want basic advice from professionals without the hassle of booking for their schedule or paying exorbitant fees, then chatbot professionals would be able to assist you in those matters. For instance, if you broke your knee or sprained your ankle, basic first aid must be given in order to prevent further damage. However, people could easily forget or not know about these particular things. 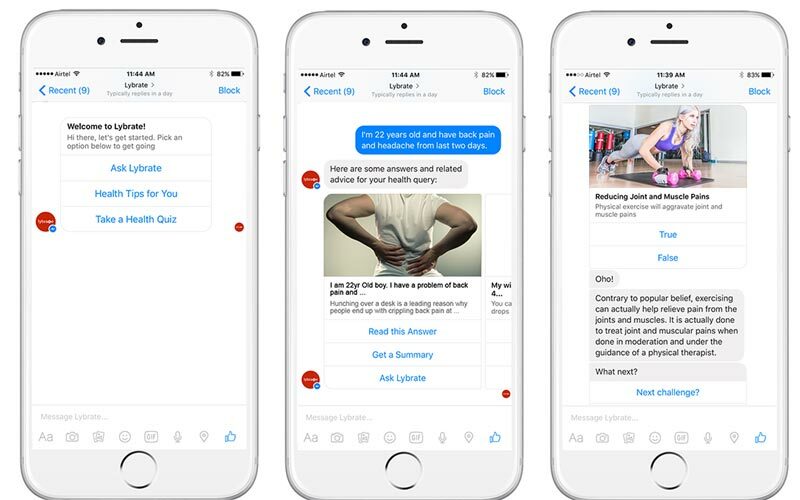 With a chatbot like WebMD’s, you would be given basic treatment and medical advice for less serious ailments and pains. This would save you a lot of money and time. Chatbots can also act as your surrogate financial adviser. In fact, a consultancy firm built a chatbot that could help people understand the process of pensions and investments in an easier manner. Even large banks are jumping into the chatbot bandwagon—the Royal Bank of Scotland built a simple chatbot which helps their staff answer simple issues such as locked PINS and damaged debit cards. Apart from acting as doctors and financial advisers, chatbots can also teach humans. Of course, complicated subjects are out of chatbot’s scope. However, it can teach English to people who find difficulty is mastering the language. Chatbots can also act as accountants, like the bot launched by Sage, a successful business software firm. The bot is called Pegg, and in an article by Andrew Cave at Forbes, it was explained that the chatbot can act as a smart assistant that would give the users the option of tracking their expenses and seeking advice on financial literacy. Clearly, the field of artificial technology has never been more interactive and personal. The nature of personified customer relations and easier transactions makes chatbots the future of many different fields. It is no wonder that from startups to already-established brands, chatbots have emerged as a new global leader in interactional innovation. The many benefits to using chatbots and further innovating in the field of interpersonal artificial intelligence cannot be denied. The list above shows only some of the main actions that chatbots can perform. Chatbots are also useful and successful in the sphere of gaming and entertainment. It just goes to show that clamor for chatbots is warranted and well-deserved. However, chatbots are not perfect. Although it poses itself as the next big thing in artificial intelligence, there are many kinks that must be fixed first before fully depending on chatbots for everything. Right now, because of the demand for chatbots, a lot of burgeoning programmers have attempted to make bots with different uses. Sadly, the languages and commands that are used by these bots are complicated and not easily understood by its users. This completely destroys the customer experience that chatbots are known for, and discredits the practice as a whole. There are also many commands in chatbots that are as easily done even without its presence. For example, looking for news about Donald Trump in chatbots are as easy as searching for news in the internet. It could even be argued that the latter is better as it is more detailed and in-depth. This means that that the use and manufacturing of chatbots must be deeply studied first before its launch. Chatbots are features that make your life easier, but it doesn’t mean that you have to replace everything in your life with bots. If you’re sick and you need medical attention, you must go to a real doctor in order for you to be truly healed. If you need financial advice, it is better to double check with professionals before following the recommendations of chatbots. We must remember that chatbots are made by humans, and not the other way around. This technology, while helpful, doesn’t encompass the whole human experience. The key to understanding chatbots is realizing its main function: to make life easier. Therefore, you must use chatbots only as tools to enhance the human experience, and not a replacement for the real thing. Hi, Great article. I have tried Facebook chatbot for my website, and I am getting amazing results by using this tool. I have to say you have explained it quite well.Thank you for sharing your perspective on this topic. Very well explained and written about chatbots and AI. It was quite helpful indeed. Not only does healthcare, but other industries also benefit. A little more business integrations and better customer experience will work out wonders. I came across a chatbot platform called Engati which guided me to design a chatbot within 10 minutes and no coding. You too can give it a try at building a bot in less than 10 minutes. 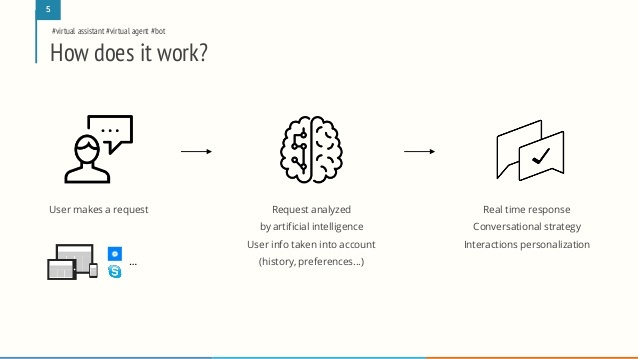 Engati is a chatbot platform that allows you to build, manage, integrate, train, analyze and publish your personalized bot in a matter of minutes. It presently supports eight major messaging platforms including messenger, Kik, telegram, line, Viber, Skype, slack and web-chat with a focus on customer engagement, conversational commerce, and customer service and fulfillment.